Happy Birthday to I.M.Pei, Chinese- American starchitect! 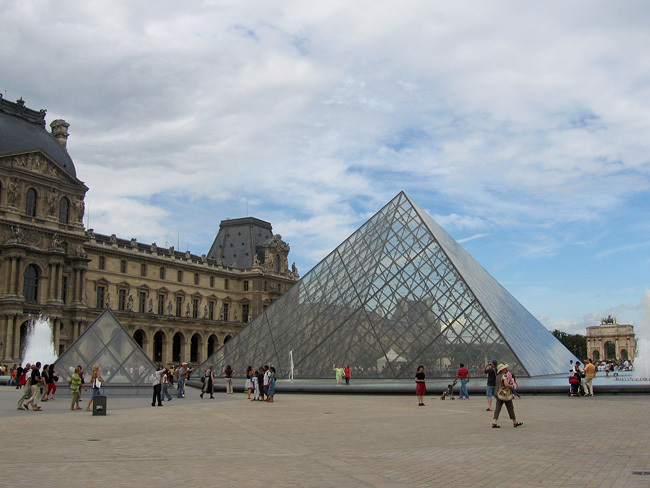 April 26th is I. M. Pei’s Birthday! I.M. Pei, who was born in Guangzhou, China, designed the Bank of China Tower in Hong Kong, the Indiana University Museum of Fine Arts Building, and the Pyramids outside the Louvre, Paris and much more. He graduated from MIT and then the Harvard School of Design. The Morton H. Meyerson Symphony Center, which opened in 1989. The Meyerson is the seat of the Dallas Symphony Orchestra. Completed in 1978, Dallas City Hall is basically an inverted triangle; as you go up, each floor gets bigger in square footage. And lastly, one of the most iconic buildings in the Dallas skyline, Fountain Place, built in 1986. This building, which seems to twist and transform as you watch it from the freeway, is named after the little-known oasis of 217 fountains that make up part of the ground floor, designed by landscape architect Dan Kiley. I would highly suggest checking it out, and since Fountain Place is a part of the Arts District, you can easily walk there from the Crow Collection!